Parrots love to chew wood and lots of it. 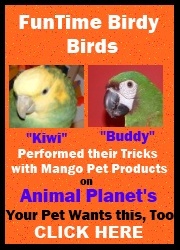 Wood bird toys rank among the favorite things for parrots to play with and enjoy. FunTime Birdy wood toy parts are bird safe and colored with non-toxic water-soluble food coloring.